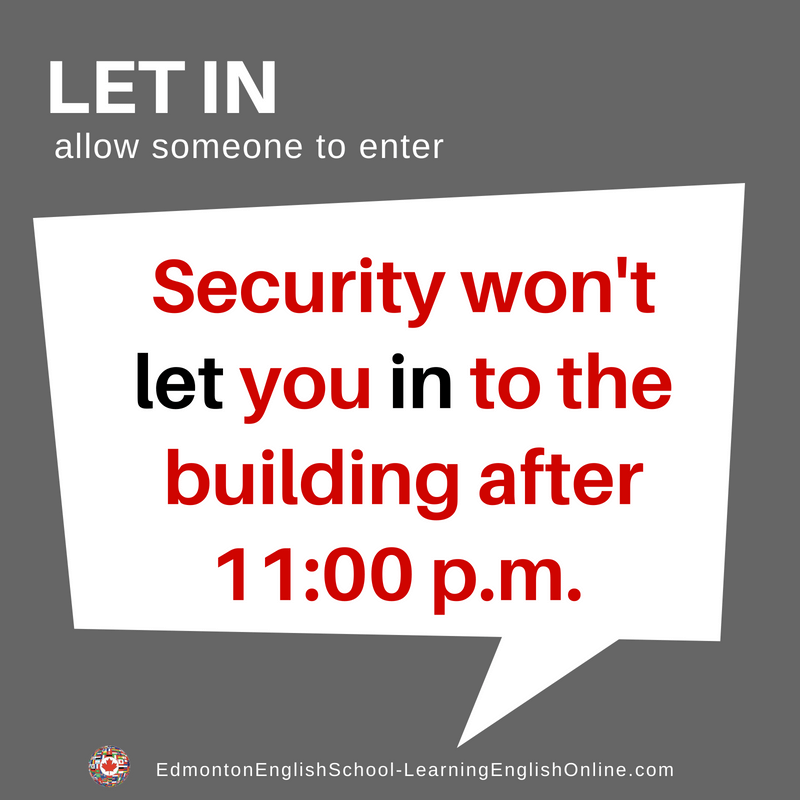 What is the Meaning of LET IN? 1. You will arrive at the house before us. You have a key so let yourselves in. 2. I am sorry. I cannot let you in until 9:00 a.m.
3. The security guard knows me, so he will let us in. Note: Many phrasal verbs have more than one definition. The definitions may not all be shown here.